Background/Info: German formation Centhron strikes back after a hiatus of three years. The line-up has somewhat changed although the influences remain pretty similar. “Allvater” is the fifth full length released on Scanner/Dark Dimensions and is already the eighth album since the band’s creation in 2001. Content: Whether you like Centhron or not, one thing is for sure; this is a band with a very own sound approach and easily recognizable vocal parts. 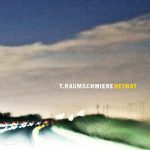 The sound remains driven by dark-electronic structures, noticeable leads and hard-pumping dance kicks while the distorted vocals (all in German) of Elmar Schmidt are harsh and commanding. A few songs feature female backing vocals, like adding an angelic, but dangerous flavor on top of the work. 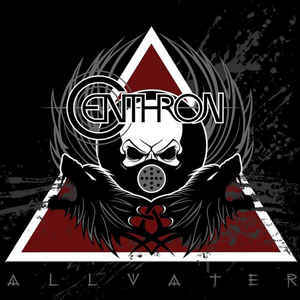 + + + : “Allvater” confirms the status of Centhron, which is not what I should call a leading dark-electro formation, but an established, talented and recognized band. The music is well-crafted and I was once again seduced by the solid and melodic leads carrying the album. Some of the leads are pretty trance-like and I here especially refer to “Hetzer”. The pumping rhythm can only, but incites you to start dancing. But “Allvater” also reveals a few excellent catchy passages and a remarkable opera-like female voice running through “De Sade”. 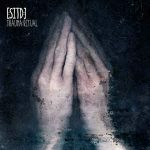 – – – : I never have been a huge fan of the over-abused distorted vocals although I have to admit it for sure please a lot of people while getting this band quite recognizable. Centhron doesn’t innovate at any single moment so it rapidly becomes a predictable work and not their best album to date. Conclusion: “Allvater” is a typical Centhron work, which will ravish their fan base; dark, tormented and danceable dark-electronics. Best songs: “Blitzkrieg”, “Frontschwein”, “De Sade”, “Hetzer”.